I am so excited. 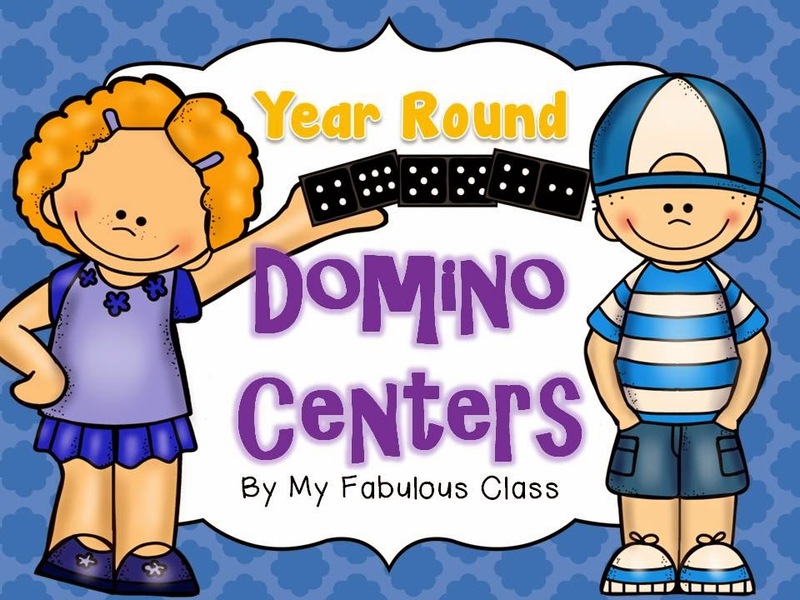 I have been wanting to fix up my Year Round Domino Centers for a long time. It was one of the first products and I made and was my number one seller for awhile. It is still my number two seller, so I knew it needed a MAJOR MAKEOVER! If you have already purchased it, you get get the updated version free. I would LOVE to hear what you think about the new version, so please leave me a comment. My kids LOVE dominoes and there are many fun, hands on activities that you can do with them. I designed this pack to last ALL YEAR long. 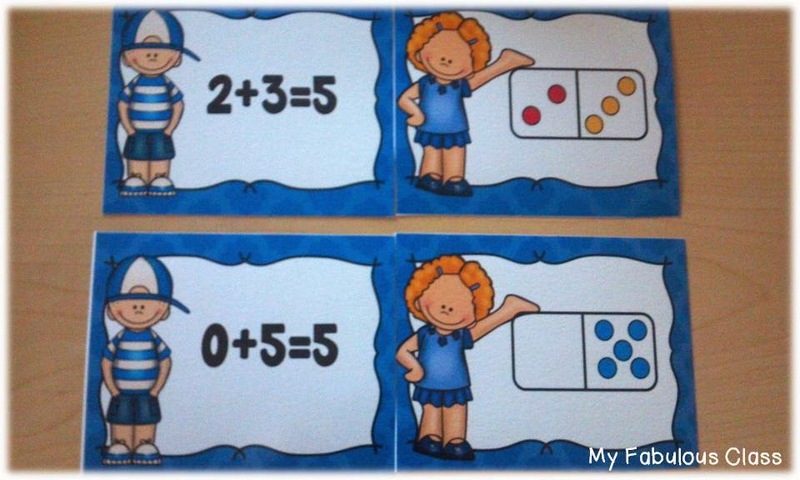 The activities are differentiated to meet a wide variety of learners and they can be used to teach the Common Core Standards There are 4 Centers and 25 Printables. They are perfect for sub tubs since they can be used all year. I love seasonal games, but it is nice to have a few that can stay out all year long. We all know how important sums of 5 and sums of 10 are. I made this cute game to work on both of those skills. The first time we play this game, we place all the cards up and look for matches. As they become more fluent, they can have all the cards upside down and play memory. You can also put them in a pocket chart as a matching game. My kids LOVE to write the room. I think it is essential to get gets up and moving, especially now that spring fever has hit! There are 4 different recording forms to last you all year. 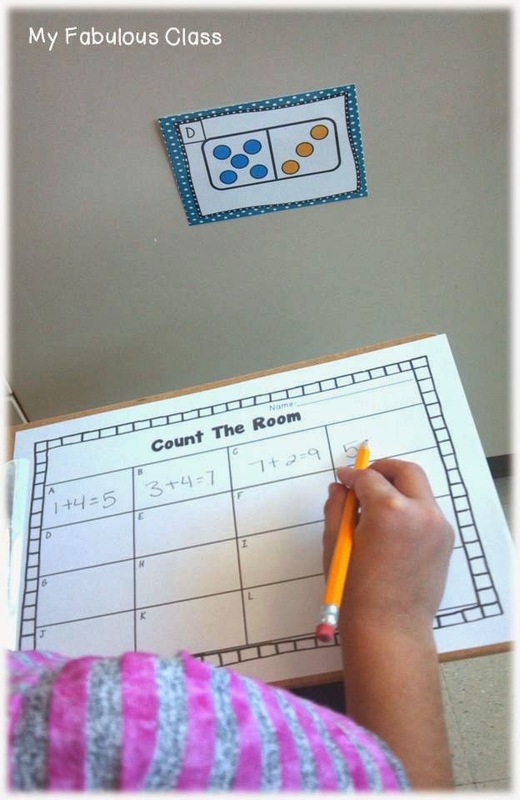 There is one where kids trace the numbers, there are blank ones, like the one in this picture, that are perfect for writing numbers, adding, or subtracting. There is one specifically for addition and one for subtraction. This is one of the great printables in the pack. All the printables in this pack are perfect for print and go or they can be laminated for multiple uses. I love Domino Word Problems. 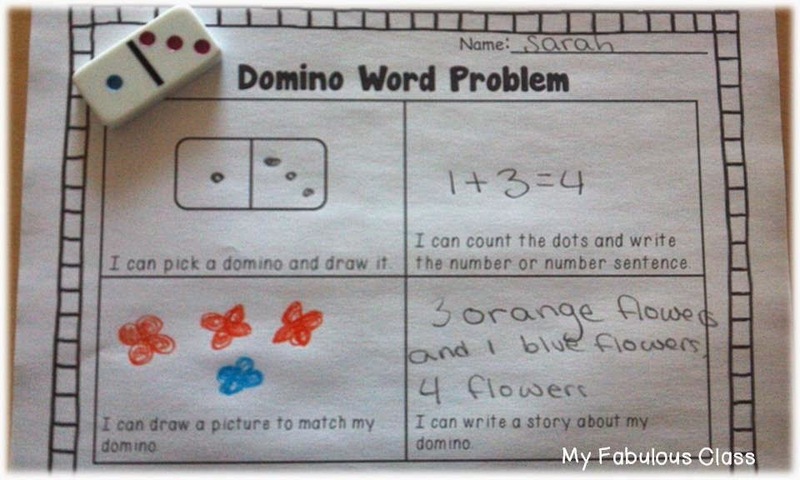 The kids pick a domino, write the number or the equation, draw a picture, and write a story. My kids are not bale to do these independently, yet. I have been modeling on the document camera. We take turns deciding what are picture will be. 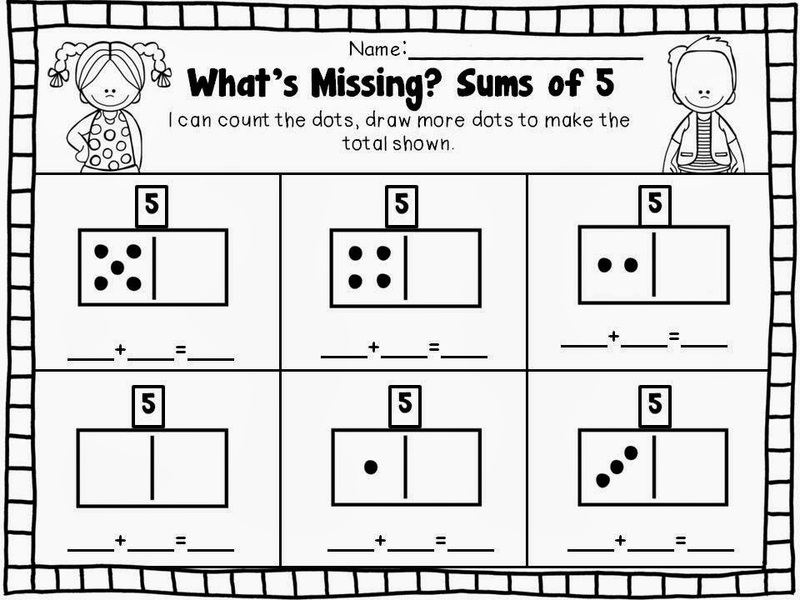 There is another sheet that I used first where they only count the dots and draw a single picture with no story. I hope that they will become independent by the end of the year. I LOVE, LOVE, LOVE these little guys! My kids had so much fun the Leprechaun Domino in my St.Patrick's Day Math Centers, I came up with this idea. Guess what??? These Domino Kids are today's blogiversary FREEBIE . You Can get them HERE this week ONLY. UPDATE: This freebie no longer available. You have to buy the center now. If you are interested in the entire Year Round Domino Centers, you can get it for 50% off for the next 48 hours or you can enter to win $25, $10, or $6 to spend at my store. You can enter everyday by pinning any image from my site. Tomorrow, there will be another freebie! I'm so glad I found your blog! I'm your newest follower! 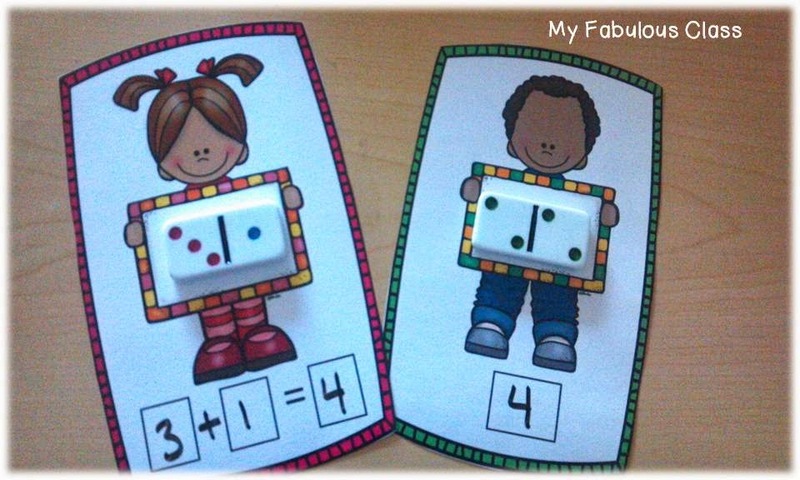 Your Domino Centers look great, my students would love these! I will definitely have to check it out along with your other products! Your clipart is super cute too, did you get it off of TpT? I'm always looking for new clipart! I am pretty new to blogging and I'm running my first giveaway for a TpT gift certificate and an item from my store, if you are interested! It ends tomorrow though! Thank you. I just entered the giveaway. I love your blog! I just found your blog through the TpT forum! It's adorable!! What a fun celebration of your year mark, congratulations! I'm your newest follower on TpT and your blog. 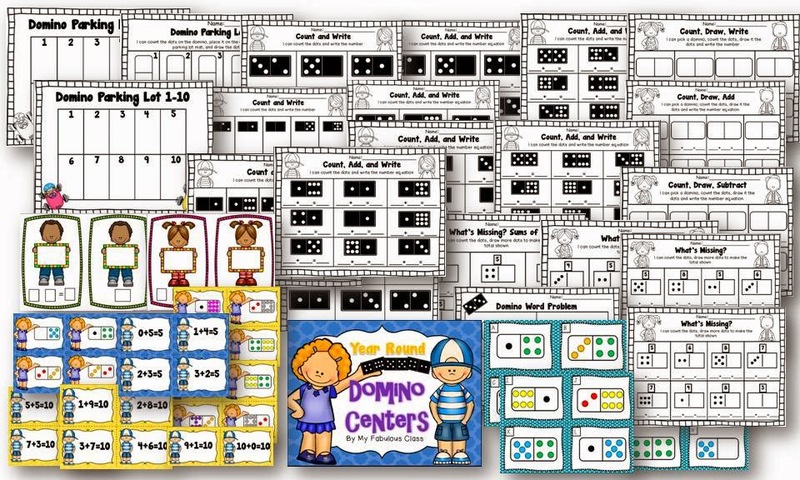 I'm loving the domino kids too, thank you so much for sharing them, I can't wait to use it with my class! Thank you! I love your blog and just started following you, too! I love the Domino Centers! They look so fun! I have always loved your blog and you never disappoint :) Congratulations on a year, my friend!! One Year Blogiversary- Freebies and a Giveaway!! !